Bodybuilding.com has an impressive site, an updated look and the information is easier than ever to find. As far as we’re concerned though, the question we immediately asked is where is the coupon box? 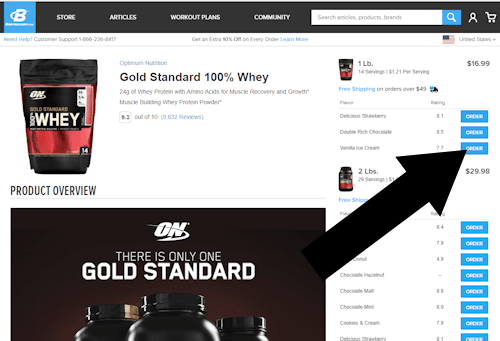 How do I enter my promotional code on bodybuilding.com? On the old bodybuilding.com site it was very obvious underneath your total purchase. Well it is still there, but less obvious. 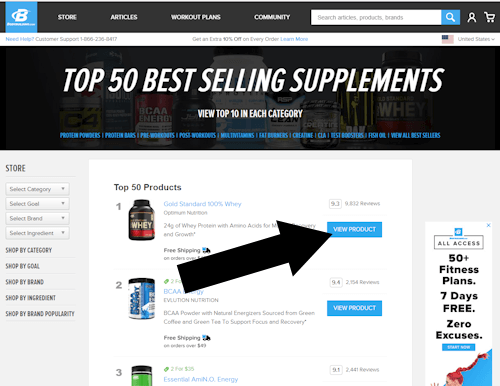 Choose the product you would like to purchase by clicking the VIEW PRODUCT button. Choose the version of the product you would like, flavor and size. Then click ORDER. 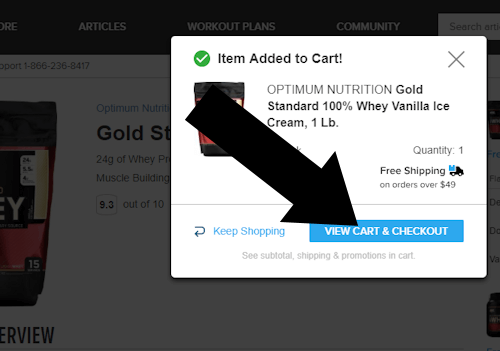 A popup will appear, when it does click VIEW CART AND CHECKOUT. There are a lot of options when it comes to buying supplements online. Sites such as bodybuilding.com, mysupplementshop, musclesurf.com, and zupplements.com vie for the top spot with numerous smaller players anxious to take thier place. Why the interest? If you do not get an adequate vitamin and mineral intake, your muscle-building program will come to a screeching halt. You need the full amount of the recommended daily allowance (RDA) of each nutrient as a minimum. Nutritionists quarrel over whether or not the average diet is adequate to provide sufficient amounts of vitamins and minerals for the body. Some argue that the pollution and stress in our society calls for an increased need in vitamin and mineral supplementation. Of course it is always better to get your food from the most natural food sources, but not everyone gets enough variety in the diet to cover all of his/her nutritional needs. So the supplement industry is booming, even in this economic slowdown. What takes the edge of buying these supplements is the coupons and discount codes that all the online shops are offering these days. Hopefully you will find the right coupon for the site you use. This tutorial was last verified on Mar 29, 2019 @ 8:00 am.